Round Pink Tourmaline Stack Ring w/Pouch. Tiffany & Co. "2004 Tiffany & Co. 925" inside of band. Includes Pouch Only (New box is available for small fee, if needed). Sterling Silver. The ring is a size 7.5. Round Green Peridot Stack Ring w/ Box, Pouch, Ribbon. Tiffany & Co. "2004 Tiffany & Co. 925" inside of band. Sterling Silver. The ring is a size 6. TiffanyForever Presents! Wonderful present for yourself or anyone you love! All Natural Tourmaline Diamond Ring. Her e' s a gem diamondring that will make an impression everywhere she go es. On the side mountings are all natural round brilliant diamonds that weighs. 29 carats. For your consideration is a 14k yellow gold, pink tourmaline and diamond ladies ring. The tourmaline is accented by diamonds with a tdw of approx. This is a classy and elegant ring in very good condition. VERY GOOD CONDITION. Rubellite Tourmaline. 10K -. 417. Sample image Count: 3 stone(s). Liberty Pawn & Gold is owned and operated by Dave and Tammy Munsee. Dave is from Richmond and Tammy was born in Fredericksburg, VA.
Stones like Turquoise, Coral, Opal, Onyx, Lapis, Sodalite, Larimar, Jasper, Agate and Malachite are commonly used in. 14k Yellow Gold Ring Height (mm): 4.6 Main Stone: Tourmaline. This 14k Yellow Gold Solitaire Ring is a size 1. Pearl Rings. Hoop Earrings. Pink tourmaline. Stone 2 TypePink Tourmaline. Diamond Rings. Wheat Chains. His & Her Ring Sets. Pearl Earrings. Genuine Pink Tourmaline Gemstone Designer Wedding Band Ring Solid 14k Yellow Gold Jewelry. Tourmaline wt. Diamonds Studs Gold diamond Rings Gold Diamond pendant Diamond Necklace. 14K Yellow Gold : 1.00 gm (Approx). Genuine Pink Tourmaline Gemstone Designer Wedding Band Ring Solid 14k Yellow Gold Jewelry. Pink Tourmaline wt. Diamonds Studs Gold diamond Rings Gold Diamond pendant Diamond Necklace. 14K Yellow Gold : 1.00 gm (Approx). Total Natural Tourmaline Weight is -. 30 CTW. RING WEIGHT IS 3.3 gram. RING SIZE: 6.5 (FREE SIZING AVAILABLE). This ring is solid 10K yellow gold. There is a. 30 ct marquise cut Pink Tourmaline with Diamond accents. The gold and gemstone weight is 1.5 grams. The ring is stamped 10k. It is a size 7 and is resizable. This 18k white gold diamond and tourmaline panther ring weighs 4.3 grams. Nice and lightweight, the ring is made up of two round paraiba tourmalines, securely set in the eyes of a fierce panther. The tourmalines are rich in their electric blue color, with natural inclusions commonly found in tourmalines. Very nice deep pink ruby ring. The stones are set in a cage mount, which allows light to surround the stones. Enjoy this wonderful piece of fine jewelry. Then we turn around and pass those savings onto you. Birthstone Charms. Pearl Rings. Hoop Earrings. Pink tourmaline. Stone 2 TypePink Tourmaline. Diamond Rings. 10k Gold Charms. Wheat Chains. 10K Gold green Tourmaline & Diamond 0.26ct Cluster Ring Size 6. Stunning bright green Tourmaline & Diamond Ring. Green Tourmaline brings a joy for life. crafted in pure10K yellow gold. This eye catching ring is truly an artistic masterpiece and is featuring. Hoop Earrings. Gemstone Rings. Pink tourmaline. Wheat Chains. Diamond Rings. Gemstone Earrings. His & Her Ring Sets. Bridal Ring Sets. 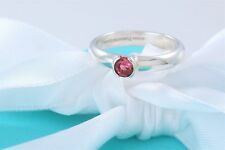 14k White Gold 6x4 Oval Pink Tourmaline Birthstone Ring. Pearl Rings. Hoop Earrings. Pink tourmaline. Wheat Chains. Diamond Rings. His & Her Ring Sets. Pearl Earrings. Tourmaline : 0.28 ct. Diamonds Studs Gold diamond Rings Gold Diamond pendant Diamond Necklace. 14K Gold : 1.22 gm (Approx). Diamond Bracelet. This ring available in all three Gold (Rose / Yellow / White). All Natural Tourmaline Gem Diamond Ring. Mounted and HA LL MA RKED on solid 14kt yellow gold that weighs 3.6grams. Her e' s a gem diamond ring that will make an impression everywhere she go es. that weighs to a total diamond of. 29 carats. Hoop Earrings. Pink tourmaline. Wheat Chains. Diamond Rings. His & Her Ring Sets. Bridal Ring Sets. Semi Mount Rings. Diamond Earrings. Birthstone Charms. Pearl Rings. Hoop Earrings. Pink tourmaline. Stone 2 TypePink Tourmaline. 10k Gold Charms. Wheat Chains. Diamond Rings. Stones like Turquoise, Coral, Opal, Onyx, Lapis, Sodalite, Larimar, Jasper, Agate and Malachite are commonly used in. 925 parts per 1000 Sterling Silver Ring Height (mm): 4.8 Main Stone: Tourmaline. This 925 parts per 1000 Sterling Silver Solitaire Ring is a size 5. Pearl Rings. Hoop Earrings. Pink tourmaline. Marquise Shape. Wheat Chains. Diamond Rings. His & Her Ring Sets. Pearl Earrings. Birthstone Charms. Hoop Earrings. Pink tourmaline. Stone 1 TypePink Tourmaline. 10k Gold Charms. Wheat Chains. Diamond Rings. His & Her Ring Sets. Athena Seidengang tourmaline and diamond wide band in 18k yellow gold. Size 8.5. Large oval cabochon red tourmaline at center with 3 brilliant round diamond accents on the sides. Retired, no longer available from the manufacturer. Guaranteed Authentic. In excellent condition with expected wear. Professionally cleaned and polished. Original box not included. All pictures provided are of the actual item for sale. PRODUCT DETAILS: MANUFACTURER INFORMATION ---BRAND: Seidengang ---COLLECTION: ATHENA ---TYPE: Ring ---METAL: 18k Yellow Gold MEASUREMENTS ---SIZE: 8.5 ---HEIGHT FROM FINGER: .312" ---WIDTH: .5" ---WEIGHT: 18.9 grams ACCESSORIES ---ORIGINAL BOX: No ---ORIGINAL POUCH: No ---GIFT BOX: Yes ---PAPERS (CERTIFICATES): No ADDITIONAL INFORMATION ---SERIAL NO. Stones like Turquoise, Coral, Opal, Onyx, Lapis, Sodalite, Larimar, Jasper, Agate and Malachite are commonly used in. 925 parts per 1000 Sterling Silver Ring Height (mm): 15 Main Stone: Tourmaline. This 925 parts per 1000 Sterling Silver Band Ring is a size 6. Birthstone Charms. Pearl Rings. Hoop Earrings. Pink tourmaline. Stone 1 TypePink Tourmaline. Wheat Chains. Diamond Rings. His & Her Ring Sets. Birthstone Charms. Pearl Rings. Hoop Earrings. Pink tourmaline. Stone 1 TypePink Tourmaline. 10k Gold Charms. Wheat Chains. Diamond Rings. 0.31ct Silver Stackable Pink Tourm. & Diamond Ring. At the center, you are looking at a natural trillion pink tourmaline. All Natural TOURMALINE Diamond Ring. that weighs 1.23 carats in solitaire with ac cents setting. GEM SIZE: 8mm x 7.4mm. Here's aradiantsolitairegem diamond ring that will hit you right off the bat! 0.27ct Silver Stackable 4mm Round Pink Tourm. Band. Stones like Turquoise, Coral, Opal, Onyx, Lapis, Sodalite, Larimar, Jasper, Agate and Malachite are commonly used in. 925 parts per 1000 Sterling Silver Ring Height (mm): 6.4 Main Stone: Tourmaline. This 925 parts per 1000 Sterling Silver Solitaire Ring is a size 6.